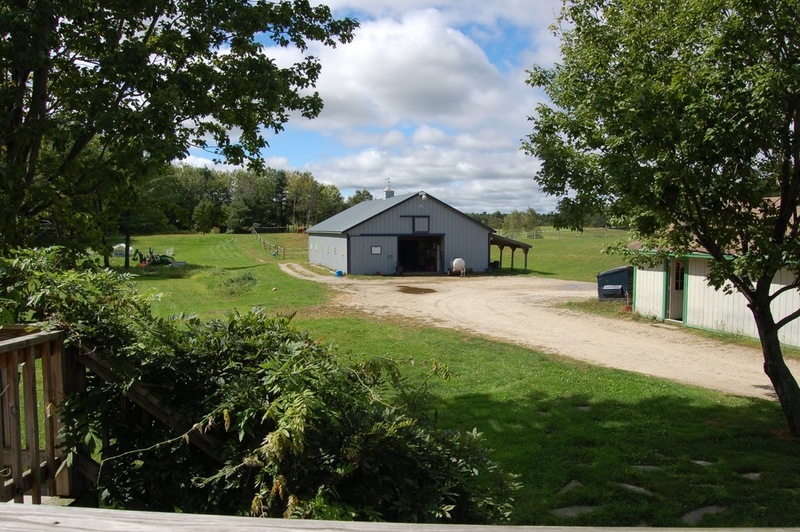 Our 31 acre farm is located in picturesque North Yarmouth Maine, just 20 minutes north of Portland. We are a privately owned equestrian facility offering a professional yet relaxing atmosphere where you can enjoy the company of your horse in a safe and healthy environment. Our barn is a 10 stall Morton building with small tack room. We also have an outdoor 70 x 150 permaflex riding arena. The stalls are 12 x 12 box type with rubber mats. 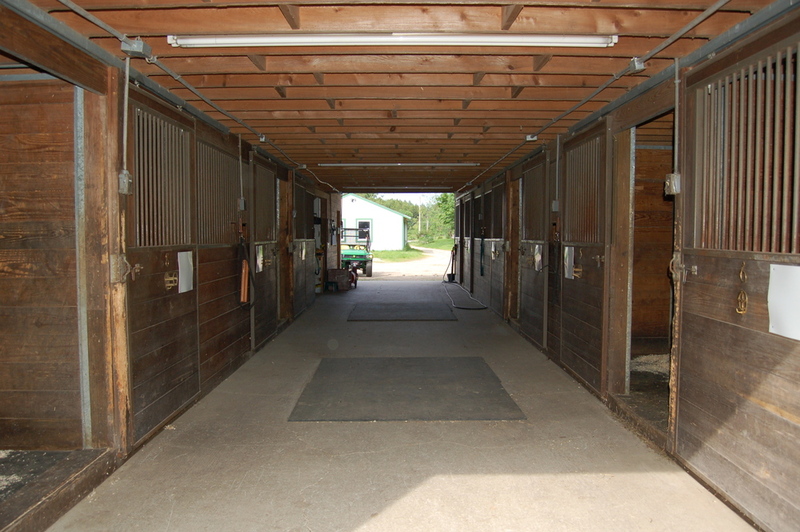 Most stalls have half walls so the horses can enjoy the company of their herd mates while inside for prolonged periods. Our paddocks are very large and all have access to grass in the summer. Shelter is provided in all paddocks. We have access to a public park with over 60 acres of riding through fields & trails along Pratt's Brook. Bradbury Mountain is just a short trailer ride away.